eNews February 1, 2018: SPARK FX Is in One Week! We’re just over a week away from SPARK FX 2018, meaning there’s limited time for you to snag one of the few remaining passes for the conference. 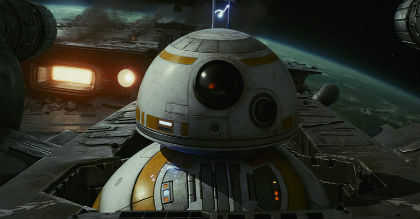 This year’s event offers a look behind some of the most interesting work being done in VFX today with presentations on Star Wars: The Last Jedi, Blade Runner 2049, Paddington 2, War for the Planet of the Apes, as well as a look behind the scenes of TV’s Star Trek: Discovery and inside the short films of Neill Blomkamp’s Oats Studios. It’s going to be a full day of learning and inspiration that you won’t want to miss! Limited passes for the day are currently on sale for $150. We hear it often but what does it mean to have diversity in the workplace, and why is it important? On Sunday, February 11, join us for a day exploring these very questions and getting some answers that are meaningful. The Summit will open at 10AM with a conversation with Michelle Grady, Senior Vice President of Production at Sony Pictures Imageworks. 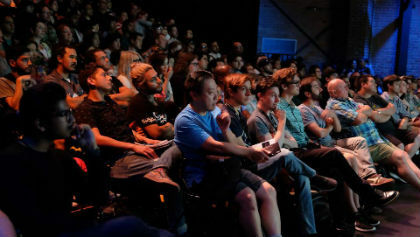 At 10:30 we will follow-up on our Womein in VFX conversation from last year with “Women in VFX: One Year Later.” The day continues with Charmaine Chan of ILM San Francisco discussing her ongoing video series “Women in VFX,” followed by a networking lunch (provided with your ticket!). The second part of the day will kick off with recruiters digging into inclusive recruiting, and the day will close with a keynote from 25+ year industry veteran, Wendy Rogers, who will take us through her career and some of her defining moments, while also providing insight on what it’s like to be a woman in a position typically occupied by men. A full day pass is only $15 and includes the networking lunch! This is a great opportunity to meet other individuals in the industry who are passionate about diversity, and a great way to find out what you can do to help shape the industry for future generations! Register Now to the SPARK FX Career Fair! New Year’s resolutions tend to include everything from getting in shape to getting a new job, and though we can't help with all of your resolutions, we are able to help you with at least one of them! The first SPARK career fair of 2018 is taking place on Saturday, February 10. 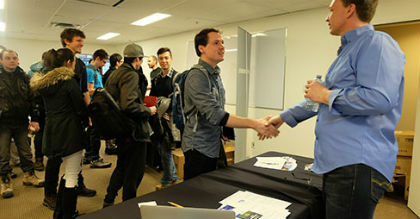 Unlike job searches that have you sending resumes into the abyss of the internet, the SPARK Career Fair provides attendees with the opportunity to meet one-on-one with recruiters from industry leaders. Registration to the Career Fair is free but space is limited, so don’t delay and miss your opportunity to find your dream job! Register now! Traveling to Vancouver for SPARK FX and need a place to stay? We have partnered with the Opus Hotel to offer SPARK FX attendees a discounted rate of $208 per night including complimentary wi-fi and continental breakfast. 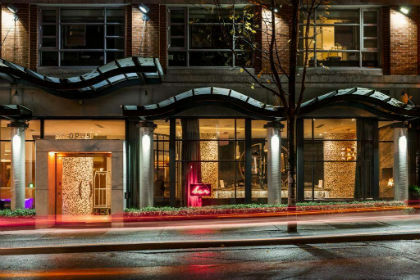 One of Vancouver’s most sought-after boutique hotels located in the heart of Yaletown, the Opus is a five minute walk from the conference venue and is centrally located close to food, entertainment and transit. Book your stay at the Opus now! We are pleased to announce that we have partnered with the VIFF Vancity Theatre in collaboration with the Institut français and the Consulate General of France in Vancouver, to present free monthly screenings celebrating French animation. 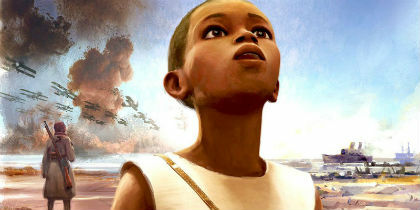 Kicking off on Saturday, February 24 at 12PM, the first screening of the series is Simon Rouby’s Adama, the story of a 12-year-old boy who disobeys his father and follows his older brother, ending up on a troop ship to France during World War I. The screening is FREE and open to all ages. To secure your seat, visit the Vancity Theatre website.